Expertly define your eyes with the PUPA Vamp! 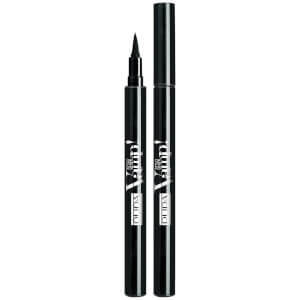 Definition Liner Eye Liner with Felt-Tip Applicator; a liquid eyeliner that delivers professional results. Created with a soft, felt-tip applicator, the eyeliner effortlessly glides across the lid and provides even, flawless and ultra-pigmented colour. The fast-drying liquid is able to create a fine lines that defines peepers, as well as producing expert flicks for the ultimate cat-eye.